Legal Aid Clinics are intended to provide legal relief easily accessible to the indigent and backward sections of our society. They are almost on the lines of primary health centres where a doctor and other auxiliary medical staff provide basic health care to the people situated in village areas affected with poverty and social squalor. Like the doctors rendering health services to the people of the locality in the primary health centre, a lawyer manning the legal aid clinic provides legal services to the people. The thrust is on the basic legal services like legal advice and assisting in drafting of notices, replies, applications, petitions etc. The lawyer manning the legal aid clinic will also attempt to resolve the disputes of the people in the locality, preventing the disputes from maturing into litigation. This provides the lawyer in the legal aid clinic an opportunity to understand the difficulties faced by people in the distant villages� for access to justice. Legal aid clinics have to be manned by para-legal volunteers selected by the Legal Services Authorities and lawyers with a sense of commitment, sensibility and sensitiveness to the problems of common people. Legal aid clinic is one of the thrust areas envisioned in the NALSA�s Quinquennial vision & strategy document. NALSA plans to set up legal aid clinics in all villages. 2. Name of the Scheme. The Scheme shall be called the National Legal Services Authority (Legal Aid Clinics) Scheme, 2010. 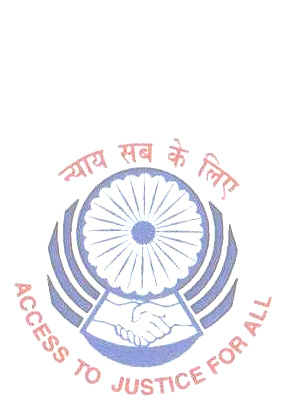 The objective of the Scheme is to provide legal services to the poor, marginalised and weaker sections of the society as categorised in Section 12 the Legal Services Authorities Act 1987 (Central Act), especially to the people living in far away places including the places with geographical barriers, away from the seats of justice and the offices of the legal services institutions [�legal services institutions� means the Taluk/Sub-divisional/Mandal Legal Services Committees, District Legal Services Authorities, High Court Legal Services Committees, State Legal Services Authorities and Supreme Court Legal Services Committee established under the Legal Services Authorities Act, 1987]. The aim of the Scheme is to provide an inexpensive local machinery for rendering legal services of basic nature like legal advice, drafting of petitions, notices, replies, applications and other documents of legal importance and also for resolving the disputes of the local people by making the parties to see reason and thereby preventing the disputes reaching courts. In cases where legal services of a higher level is required the matter can be referred to the legal services institutions established under the Legal Services Authorities Act, 1987. 4. Location of Legal Aid Clinics. The legal aid clinics established by the Legal Services Authorities shall be located at a place where the people in the locality can easily access. A room within the office building of the local body institutions like village panchayat shall be ideal. 5. Sign-board exhibiting the name of the Legal Aid Clinic. There shall be a sign-board both in English and the local language, depicting the name of the legal aid clinic. The board shall display the working hours and the days on which the clinic will be open. Working hours of Legal Aid Clinics shall be decided by the legal services institutions having territorial jurisdiction in consultation with the District Legal Services Authority. 6. Assistance of the local body institutions in obtaining a convenient room for the Legal Aid Clinic. The Legal Services Authorities shall persuade the local body institutions like village panchayat, mandal / block panchayat, municipality and corporation etc, to provide a room for the functioning of legal aid clinic. Since the legal aid clinic is for the benefit of the people in the locality, the local body institutions should be impressed upon the need to co-operate with the functioning of the legal aid clinics and to realise that the legal aid clinic is aimed at promoting peace and welfare of the people in the locality. The local body institutions shall be persuaded to give adequate publicity about the functioning of the legal aid clinic. The elected representatives of the local body institutions shall be persuaded to spread the message of the utility of the legal aid clinic to the people in his / her constituency / wards. 8. Infrastructure in the legal aid clinic. Every legal aid clinic shall have at least the basic and essential furniture like a table and three or four chairs. The local body institutions shall be requested to provide the essential furniture for use in the legal aid clinic. Only in those places where legal aid clinics are not functioning in the office building of the local body institutions, the Legal Services Authorities need to purchase furniture. If the Legal Services Authority has its own building to run the legal aid clinic, the infrastructural facilities shall be provided by such Authority. 9. All villages to have Legal Aid Clinics. The District Legal Services Authority shall establish legal aid clinics in all villages, or for a cluster of villages, depending on the size of such villages, especially where the people face geographical, social and other barriers for access to the legal services institutions. 10. The personnel manning the Legal Aid Clinic. Every legal aid clinic shall have one or more para-legal volunteers available during the working hours of the legal aid clinics. 11. Frequency of visit by lawyers in the Legal Aid Clinics. Subject to the local requirements, the District Legal Services Authority may decide the frequency of the lawyer�s visit in the legal aid clinics. If the situation demands for providing continual legal services, the District Legal Services Authority may consider arranging frequent visits of the lawyer in the legal aid clinic. 12. Selection of lawyers for manning the Legal Aid Clinics. Qualified legal practitioners with skills for amicable settlement of disputes may be selected from the local bar for empanelment for serving in the legal aid clinic. The selection of lawyers shall be done by the nearest legal services institution having territorial jurisdiction. Preference shall be given to women lawyers having practice of three years or more. A list of the panel lawyers shall be sent to the District Legal Services Authority. Para-legal volunteer (s) trained by the Legal Services Authorities and holding the identity card issued by the Legal Services Authorities may be engaged to assist the lawyer in providing legal services in the legal aid clinics. 13. Legal Services in the Legal Aid Clinic. Legal Services rendered at the legal aid clinic shall be of wide ranging in nature. Besides legal advice, other services like preparing applications for job card under the MGNREGA Scheme, liaison with the government offices and public authorities and helping the common people who come to the clinic for solving their problems with the officials, authorities and other institutions also shall form part of the legal services in the legal aid clinic (the list given is only indicative, not exhaustive). Legal aid clinic shall work like a single-window facility for helping the disadvantaged people to solve their problems where the operation of law comes into picture. 14 Administrative Control of Legal Aid Clinics. Legal aid clinics shall be under the direct administrative control of the nearest legal services institution having territorial jurisdiction. The District Legal Services Authority shall have supervisory and advisory powers on all legal aid clinics functioning within the district. The State Legal Services Authority shall have the power to issue guidelines on the working of the legal aid clinics. 15. Honorarium for the lawyers and para-legal volunteers rendering services in the Legal Aid Clinics. In consultation with the District Legal Services Authority, the State Legal Services Authority shall fix the honorarium to be paid to the lawyers and para-legal volunteers rendering service in the legal aid clinics which shall not be less than Rs. 500/- per day for lawyers and Rs. 250/- for para-legal volunteers. Special consideration may be given in cases where the legal aid clinic is situated at difficult terrains and distant areas where transport facilities are scarce. 16. Maintenance of Records and Registers. Lawyers and para-legal volunteers rendering service in the legal aid clinics shall record their attendance in the register maintained in the legal aid clinic. There shall be a register in every legal aid clinic for recording the name and address of the seekers of legal services, name of the lawyer who render services in the legal aid clinic, nature of the service rendered, remarks of the lawyer and signatures of seekers of legal aid and the lawyers. The records of the Legal Aid Clinics shall be under the custody of the Secretary of the Taluk Legal Services Committee/District Legal Services Authority having territorial jurisdiction. The legal services institution having territorial jurisdiction may maintain other registers also in consultation with the District Legal Services Authority as the situation requires. The nearest legal services institution having territorial jurisdiction shall be the custodian of all registers and it shall be the duty of the para-legal volunteers and the lawyer in the legal aid clinic to hand over the registers to such legal services institution, when called for. The nearest legal services institution having territorial jurisdiction may maintain a panel of lawyers preferably from the local bar. The lawyers may be deputed to the legal aid clinic on a rotation basis. If the matter handled by a lawyer requires follow up and continuous attention for a long duration, the same lawyer who had handled the matter may be entrusted to continue the legal services. 18. Lawyer in the Legal Aid Clinic shall attempt to resolve disputes locally. During the course of legal services, if the lawyer in the legal aid clinic feels that the dispute between two locally available parties can be resolved through proper advice or by employing ADR techniques, he / she shall make an effort to do so, without permitting the dispute maturing into litigation. In appropriate cases the lawyers may request the nearest legal services institution having territorial jurisdiction to refer the dispute to Lok Adalat for a pre-litigation settlement. In such cases the lawyer rendering legal services in the legal aid clinic shall ensure that the procedure prescribed in sub-section (2) of Section 20 Legal Services Authorities Act, 1987 is complied with. The nearest legal services institution having territorial jurisdiction/ District Legal Services Authority may organise Lok Adalat at the legal aid clinic or near to its premises. 19. Use of Mobile Lok Adalat Vehicle. The lawyer rendering legal services in the legal aid clinic may request the District Legal Services Authority to send the Mobile Lok Adalat Van with the members of the Lok Adalat Bench for visiting the legal aid clinic for settlement of the disputes identified by him. The Mobile Lok Adalat Van can also be used for the legal services to mentally ill and children. The State Authority may fix a monthly ceiling for the fuel to be used in the Mobile Lok Adalat Vans. However, the Executive Chairman of the State Authority may grant relaxation, taking into account of the exigencies of the legal services to be performed. 20. Para-Legal Volunteers in the Legal Aid Clinics. Para-Legal Volunteers selected and trained by the Legal Services Authorities may be deputed to work in the legal aid clinics for assisting the lawyer and the seekers of legal aid. As they gain experience, the services of para-legal volunteers can be used for drafting simple petitions, applications and for accompanying the seekers of legal aid to the government offices for interacting with the officials for solving the problems of such seekers of legal aid. Para-legal volunteers may be encouraged to obtain diplomas and degrees in law for betterment of their prospects in the long run. 21. Legal Aid Clinics run by the Law Students. The provisions in the above paragraphs shall mutatis mutandis be applicable to the student� legal aid clinics set up by the law colleges and law universities also. However, in such clinics the students in the final year classes may render legal services and the junior students may assist them. The students legal aid clinic shall always be under the supervision of a faculty member who shall be present in such clinics for immediate consultation. The students of law colleges and law universities also may make use of the other legal aid clinics established under this scheme. 22. Student may use the legal aid clinics set up under this scheme. Law students of the law colleges / law universities may be engaged to adopt a village especially in the remote areas and organise legal aid camps. Such students may make use of the legal aid clinics set up under this scheme in consultation with the legal services institution having territorial jurisdiction in that area. The students in the legal aid clinics may seek the assistance of the para-legal volunteers in the legal aid clinics. 23. The Student legal aid clinics may conduct surveys and prepare reports. The student legal aid clinics working in the remote villages may conduct surveys of the legal services required for the people of that area including identification of the problems which call for a social justice litigation. For conducing surveys, members of the student legal aid clinic may seek the assistance of the para-legal volunteers and voluntary social welfare institutions working at the grass-root level. The student legal aid clinics shall send reports to the State Legal Services Authorities with copies to the legal services institutions having territorial jurisdiction and also to the District Legal Services Authorities concerned. 24. Permanent Legal Aid Clinics attached to the Law Colleges and Law Universities. Besides the student legal aid clinics in the rural areas, law colleges and law universities also may set up permanent legal aid clinics attached to their institutions. The State Legal Services Authority shall be informed about the establishing of such legal aid clinics. The State Legal Services Authority shall render the required technical assistance for such legal aid clinics and shall co-ordinate with the legal aid clinics so established. 25. Services of Para-Legal Volunteers trained by the Legal Services Authorities may be made available in the Legal Aid Clinics run by the Law Colleges and Law Universities. Trained para-legal volunteers may be deputed to the legal aid clinics in law colleges and law universities for assisting the seekers of legal aid and for interacting with the students and the members of faculty. 26. The State Legal Services Authorities to conduct periodical revenue of the functioning of Legal Aid Clinics. The State Legal Services Authorities shall conduct periodical review of the functioning of legal aid clinics. The State Legal Services Authorities shall collect monthly reports from the District Legal Services Authorities, law colleges and law universities and review the functioning of legal aid clinics working in their jurisdiction. The State Legal Services Authorities shall conduct periodical review of the working of such legal aid clinics at least once in three months or more frequently. The State Legal Services Authorities shall issue directions from time to time for improving the services in the legal aid clinics to ensure that members of the weaker sections of the society are provided legal services in an efficient manner. The State Legal Services Authorities shall send quarterly reports about the functioning of the Legal Aid Clinics within their jurisdiction to National Legal Services Authority. Persons with disability, especially those suffering from mental illness and other barriers like mental retardation do not get proper attention from the authorities in the matter of access to justice. The result is that they are sidelined and are viewed only from the prism of the paternalistic �social welfare� which looks upon them as merely as persons who are in need of special protection by the State and the society. India being a signatory to the UN Convention on the Rights of Persons with Disabilities (CRPD) 2008 and since our country has ratified the Convention, it is obligatory for our legal system to ensure the human rights and fundamental freedoms of persons with disability (including mentally ill persons and persons with mental disabilities) are enjoyed on equal basis with others and to ensure that they get equal recognition before the law and equal protection of the law. The Convention further requires to ensure effective access to justice for persons with disabilities on an equal basis with others. In other words, the Convention has the philosophical underpinnings with a right based and inclusive approach and it treats persons with disabilities as those to be accepted as persons living in the inherent diversity in society. (1) Mental illness is curable � The Legal Services Institutions shall keep in mind the fact that mental illness is curable on proper medication and care. (2) Mentally ill persons are entitled to all human rights and fundamental freedoms � While dealing with mentally ill persons for rendering legal services it shall be the prime concern of the legal services institutions to promote, protect and ensure the full and equal enjoyment of human rights and fundamental freedoms of the mentally ill persons. (3) Respect for the inherent dignity of mentally ill persons - The legal services institutions shall promote respect for the inherent dignity, individual autonomy including independence of mentally ill persons. (4) Non-discrimination � The legal services institutions shall not discriminate mentally ill persons merely because of his state of mental health. It shall be always borne in mind that they are entitled to be treated without any discrimination, on equal basis with others and are entitled to equal protection and equal benefit of the law. (5) Reasonable accommodation � The legal services institutions shall ensure that the mentally ill persons are afforded situations with appropriate modification and adjustments, where needed in a particular case, to ensure that they enjoy on an equal basis with others all human rights and fundamental freedoms (see Article -2 of CRPD). (6) The right of mentally ill persons to get treatment � Right to treatment and to get proper health care, emanating from Article 21 of the Constitution of India is equally applicable to all mentally ill persons. Mentally ill persons deprived of treatment either due to illegal confinement or superstition or lack of means shall be ensured to get treatment facilities available in the psychiatric hospitals or psychiatric nursing homes. The provisions in chapter IV of the Mental Health Act, 1987 may be invoked in appropriate cases. (7) Informed consent for treatment � Legal services institutions shall ensure that when a person is subjected to treatment for mental illness, his / her informed consent has been obtained. If any person is incapable of giving such consent, the informed consent of his / her relatives or friend and if no relative or friend or if there is no relative or friend the satisfaction of the court under Part II Chapter V of Mental Health Act, 1987 shall be ensured. (8) Legal services during the proceedings for Reception Orders � It shall be the duty of the legal services institutions to depute its retainer lawyer to the court which deals with every application for a reception orders under Part III of Chapter IV of the Mental Health Act, 1987. The Legal Services Authorities may request the Magistrates who deals with such application that the Legal Services Institution having jurisdiction in that area is given notice in all cases, for protecting the interest of the mentally ill persons in relation to whom an application for reception order is made. The retainer lawyer shall gather the details of the circumstances and shall liaise with the relatives of the alleged mentally ill persons, Doctors in the psychiatric hospitals or psychiatric nursing homes or any other competent person to ensure that the condition of the person against whom the application for reception order has been made warrants such an order from the Court. (9) Privacy and dignity of mentally ill persons � Mentally ill persons are entitled to right to privacy and dignity emanating from the right to life under Article 21 of the Constitution of India. The legal services institutions shall always uphold and ensure the privacy and dignity of mentally ill persons during the spell of their illness. This shall be especially observed in the case of women who are mentally ill and incapable of taking care of themselves. (10) Protection of the other fundamental rights of the mentally ill persons � Legal Services Institutions while dealing with mentally ill persons shall ensure that because of his / her being mentally ill his / her human rights and fundamental rights are not violated. (11) Humane living conditions in the mental hospitals and other places where mentally ill persons are confined � The legal services institutions shall in consultation with the State Authority for Mental Health organize visits to psychiatric hospitals or psychiatric nursing homes and other places where mentally ill are confined to ensure that there is humane living condition at such places. The legal services institutions shall take up the matter with the State Mental Health Authority and the State Government in cases of lack of humane living conditions. (12) Legal services to the mentally ill persons confined in psychiatric hospitals or psychiatric nursing homes � The Legal Services Institutions shall organize frequent visits to psychiatric hospitals or psychiatric nursing homes and other places where the mentally ill persons are confined and shall gather information about the existence of any legal problems for any mentally ill persons which he / she cannot deal with on account of mental illness. The information so gathered shall be utilized by the legal services institutions for providing legal aid to such mentally ill persons for protection of his / her rights. For gathering such information, the visitors from legal services institutions shall interview the mentally ill persons, hospital authorities and the relatives / friend, if any, of the mentally ill persons. (13) Legal services in case of forced admission into the psychiatric hospitals or psychiatric nursing homes � Legal services institutions shall attempt to gather information during its visits to the psychiatric hospitals or psychiatric nursing homes as to whether any of the persons admitted there are victims of forced admission or not. In such cases, legal services shall be given to such persons for their release from the psychiatric hospitals or psychiatric nursing homes. (14) Legal Services Institutions to follow up the condition of the mentally ill persons against whom a Reception Order has been passed � The Legal Services Institutions having local jurisdiction shall keep a list of the mentally ill persons against whom reception orders have been passed by the Court under Part III of Chapter IV of Mental Health Act, 1987 and shall monitor the progress of treatment of the mentally ill persons in the psychiatric hospitals or psychiatric nursing homes where the mentally ill persons is detained as per the reception order. The legal services institutions shall bring to the notice of the Magistrate concerned about any cured mentally person remaining in the psychiatric hospitals or psychiatric nursing homes where such mentally ill person has been sent as per the reception order. (15) Legal services during inquisition proceedings � Where an alleged mentally ill person is possessed of property and if no persons mentioned in Clauses (a) to (d) of Sub-section (1) of Section 50 of Mental Health Act is coming forward with an application for holding judicial inquisition under Chapter VI of Mental Health Act, the legal services institutions in consultation with District Legal Services Authorities concerned shall take appropriate steps for initiating judicial inquisition regarding the mental condition of the alleged mentally ill persons, custody of his / her person and management of his / her property. For this purpose the Legal Services Institutions may contact any of the aforesaid persons referred to in Clauses (a) to (d) of Sub-section (1) of Section 50 of Mental Health Act, 1987 in writing and may also take up the matter with the Advocate General of the State. (16) Legal services institutions to step in when there is attempt to misappropriation of property of mentally ill persons � On getting information about the misappropriation or fraudulent dealing with the properties of mentally ill persons by any person, the legal services institutions in consultation with the District Legal Services Authority concerned shall invoke the provision in Chapter VI of the Mental Health Act, 1987. (17) Legal Services for non-criminal mentally ill persons confined in jails � Legal services institutions through the panel lawyers deputed for jail visits or otherwise shall attempt to identify whether any non-criminal mentally person is detained in any of the prisons. If any such person is found, necessary legal aid may be given to such mentally ill person for transferring them to the psychiatric hospitals or psychiatric nursing homes for treatment as per law. (18) Legal services for making available the benefits of Persons with Disabilities (Equal Opportunities, Protection of Rights and Full Participation) Act, 1995 � The definition of �disabled� under Section 2 of Persons with Disabilities (Equal Opportunities, Protection of Rights and Full Participation) Act, 1995 includes mentally ill persons. Therefore, the legal services institutions shall provide legal services to mentally ill persons for availing of the benefits under the PWD Act, 1995 in appropriate cases. (19) Legal aid to mentally ill persons under Section 91 of Mental Health Act, 1987 � Legal services institutions can play a effective role in the situation mentioned in Section 91 of Mental Health Act, 1987 provided that the mentally ill person is in custody in a psychiatric hospital or psychiatric nursing home, irrespective of his / her proof of means. However, in all cases under Section 91 where the mentally ill person has no sufficient means to engage a legal practitioner, the legal services institutions shall provide legal services to such mentally ill persons. (20) Legal awareness programmes and public advocacy relating to mental illness and the rights of mentally ill persons � The legal services institutions shall organize awareness programmes especially in rural areas, to educate people that mental illness is curable and the need for equal treatment of mentally ill with other persons in the society. Such awareness camps may be organized for the cured mentally ill persons and also for the relatives of the mentally ill persons in a particular locality to educate them about the aforesaid the matters for changing the mind set of the society towards mentally ill persons. In such special legal awareness camps the presence of psychiatrists, lawyers and social workers can help the participants to clear their doubts and misconception about mental illness. The lawyer in such camps may educate on the property and other legal rights and the other provisions of law relating to the mentally ill persons. (21) Special legal awareness programmes for sensitizing Judicial officers and panel lawyers � The State Legal Services Authority / District Legal Services Authority may organize training programmes in association with Judicial Academy to sensitize the judicial officers about the socio-legal problems faced by the mentally ill persons, their parents, relatives and family members. Similar programmes may be organized with the help of the bar associations to sensitize the panel lawyers and the other members of the legal profession. (22) Setting up of legal aid clinics for dealing with the problems of mentally ill persons - The District Legal Services Authorities may set up special legal aid clinics in association with the psychiatric hospitals or psychiatric nursing homes to sensitize the family members of the persons with mental disabilities and for discussing the issues relating to inheritance, guardianship, family pension benefits, properties belonging to the mentally ill persons and to take steps for institutional care for destitute and wandering mentally ill persons. (23) Organizing rehabilitation measures for the cured mentally ill persons � The legal services institutions in consultation with District Legal Services Authorities and the State Legal Services Authorities shall assist the persons cured of mental illness for their rehabilitation. For this purpose, the Legal Services Authorities may liaise with the Social Welfare Department. The District Legal Services Authority / State Legal Services Authority shall make frequent visits to the places where such rehabilitated persons are accommodated to ensure that they are given proper shelter with humane conditions, proper food, continued medication and vocational training. (24) Co-operation with the NGOs and Volunteer Social Organizations � The legal services institutions shall co-ordinate with NGOs and other volunteer social organizations for dealing with the issues relating to mentally ill persons. (25) Observance of the World Mental Health Day on 10th October every year � All legal services institutions may organize programmes on 10th October every year for observing it as the World Mental Health Day. The programmes shall focus on creating awareness about the mental illness, promoting mental health advocacy and spreading the message that the mentally ill persons are entitled to human rights and other legal rights, as persons living in the inherent diversity in the society and as persons before the law on an equal basis with others in all aspects of life. (1)Mentally retarded persons are not mentally ill persons � There is a confusion even amongst the legal community that mentally retarded people are mentally ill. Mentally retarded persons are suffering from mental disabilities due to developmental disorders. Mental retardation of permanent nature is not curable. They are, therefore, treated as persons with disabilities under Section 2 of the Persons with Disabilities (Equal Opportunities, Protection of Rights and Full Participation) Act, 1995 (PWD Act). The statutory provisions for the welfare of mentally retarded persons are (i) PWD Act, 1995 and; (ii) National Trust Act, 1999. They also come under the purview of the UN Convention on the Rights of Persons with Disabilities (CRPD), 2008. (2) Legal services to mentally retarded persons (MRs) - The legal services institutions shall get in touch with the Social Welfare Department of the State Government and find out the different beneficial schemes for the MRs. Indian Railways and some State Governments have schemes for travel facility for MRs. The Income-Tax Act also gives some benefits to the parents of MRs. The legal services institutions shall attempt to make available the benefits under various schemes to the MRs and their family members. (3) Legal services for ensuring the health care of MRs � MRs like any other citizens are entitled to right to health services as a part of the fundamental rights. (4) Legal services for ensuring the fundamental rights of MRs � The legal services institutions shall provide assistance to the MRs for protecting their fundamental rights, equality and equal treatment. (5)Right to education � The policy in CRPD is an inclusive policy providing respect for MRs, evolving capacity of MRs, for preserving their identity, respect their inherent dignity and individual autonomy. The Convention envisages the right of MRs to get education on the basis of equal opportunity and for the development of their mental, physical abilities and creativity to their fullest potential. Therefore, the Legal Services Institutions shall always attempt to safeguard the above mentioned rights of MRs whenever they are found to be deprived of such rights. (6)Legal services for the benefits under PWD Act, 1995 � Legal services institutions shall assist the MRs for obtaining benefits under the PWD Act, 1995. (7) Prevention of exploitation and abuse of MRs � MRs are one of the vulnerable groups likely to be exploited. Female MRs are the most vulnerable of the group. Therefore, the legal services institutions shall come to the assistance of MRs in preventing their exploitation including sexual abuse and also for taking legal action against the abusers and exploiters. (8)Legal services for MRs for owing and inheriting properties and to have financial rights � Legal services institutions shall come to the help of MRs in protecting the rights of inheritance, owing properties and enjoying financial rights. (9) Appointment of guardians under the National Trust Act, 1999 � Loss of both parents often leads to a situation that the MRs become orphans. Therefore, appointment of guardian as contemplated under National Trust Act, 1999 is of great importance. Legal services institutions shall come to the assistance of MRs in the matter of appointment of guardian. (10) Need for setting up of a supported network � The legal services institutions with the help of the Social Welfare Department of the State Government, NGOs, charitable trust, relatives of the MRs and social workers shall encourage to set up a supported network at the local level for the welfare of MRs. The supported network in each locality shall take care of the MRs to ensure that the MRs are not becoming destitutes and their food, health and other essential needs are taken care of uninterruptedly. (11)Creating awareness campaigns amongst the other school children � It is important that the normal children are made aware of the fact that MRs and other persons with disabilities are also equally entitled to the rights provided by the laws and the protection of laws like any other persons. Therefore, the Legal Services Authorities shall on the World Disability Day organize special awareness programmes in the primary schools to create awareness amongst the young children to change their mindset towards MRs. Video films, charts, picture, skits and thematic presentations can be used in such programmes. (12)Awareness camps for educating the family members of MRs - The legal services institutions in association with the schools in their locality shall organize awareness camps for the family members of MRs. Services of specialists in counseling, psychiatric, psychological, social work and lawyers also can be made use of in their programmes. Siblings of MRs also may be included in such programmes. (13)Awareness programmes for the general public � Awareness programmes may be conducted for the general public to educate the public that MRs and other disabled persons also have the rights on par with the other normal persons. (14)Sensitization Programme for Judicial Officers and Lawyers - Special sensitization programmes can be organized with the assistance of Judicial Academy and bar associations for sensitizing judicial officers and lawyers about the MRs and their rights. 1.) Identifying the unorganised workers within the jurisdiction of each legal services institution by conducting surveys. 2)	Conducting legal awareness programmes for the identified groups of unorganised workers. 3)	Persuading and assisting the workers in the unorganised sector to avail of the benefits under the different social welfare legislations, administrative programmes and schemes put in place by the State Governments. 4)	Reaching out to the unorganised labourers and facilitating their bargaining capacity with the employers and the institutional mechanisms for their welfare. 5)	Providing legal assistance in appropriate cases.